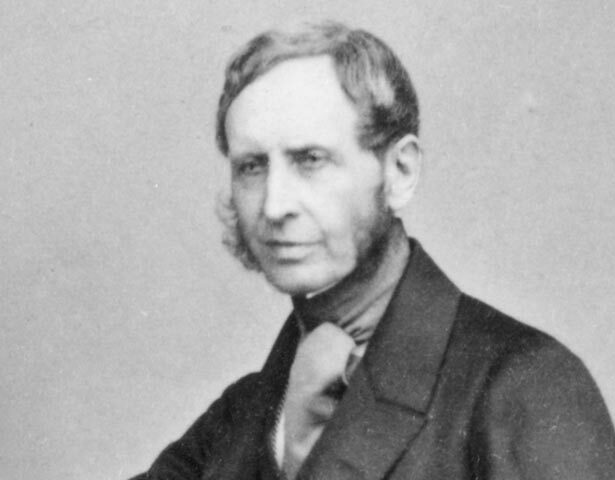 Robert FitzRoy was born in England in 1805, and later studied at the Royal Naval College. His first command was the Beagle. In 1831 he surveyed the coasts of Patagonia, Tierra del Fuego and the Straits of Magellan. He was accompanied by the naturalist Charles Darwin, whose later publications were largely based on discoveries and observations made during this voyage. The Beagle also called at the Bay of Islands in New Zealand, and in 1838 FitzRoy reported on the country to a House of Lords select committee on New Zealand. His testimony impressed leaders of the influential Church Missionary Society, who recommended him for higher honours. In 1843 FitzRoy was appointed Governor of New Zealand, replacing Governor Hobson, who had died in 1842. At that time the colony was virtually bankrupt, and there had been a serious conflict between Maori and Pakeha at the Wairau. War was also threatening in the far north. But the new Governor was not given funds or troops. Instead he was to rely upon 'moral suasion' to resolve the problem. FitzRoy declined to punish Ngati Toa over the Wairau incident. He was not certain that the New Zealand Company had acquired the land legitimately, and he realised that without a military force it would be impossible to engage in warfare. He also insisted on investigating the Company’s other land purchases and confirming them only if they were valid. This made the Company settlers deeply hostile, and they did all they could to have him recalled to Britain. Another notable feature of FitzRoy's time as governor was the Native Exemption Ordinance of 1844. Partly a concession to Maori opinion, this was an early, and brief, attempt at a law enforcement system which took some account of Maori custom. Rather than suffer culturally unacceptable imprisonment, Maori who had committed offences were to pay compensation. Chiefs were also given an important role in settling disputes. During FitzRoy's governorship the Crown had a monopoly in purchasing land (pre-emption), which had been confirmed in the Treaty of Waitangi. But because of a lack of funds the Crown was unable to purchase land for resale to settlers. This resulted in settler and Maori agitation, and an ever-worsening economic situation. FitzRoy's solution was to allow Maori to deal directly with settlers who wanted to acquire land. The Colonial Office in London disapproved, and with the outbreak of war in the north of New Zealand, he was recalled to Britain in May 1845. FitzRoy retired from active service in 1850. In 1854 he became chief of the new meteorological department of the UK Board of Trade. He instituted a system of storm warnings and published the first regular daily weather report on 3 September 1860. By 1865 a physically and mentally exhausted FitzRoy was suffering from depression. On Sunday 30 April he rose from bed, bolted the door to his dressing room and slit his throat with a razor. We have 3 events in history, 17 biographies, 6 articles, 1 comment related to Robert FitzRoy.